On behalf of the Organizers, I have the great pleasure to invite You to the 17th International Conference on Flow Injection Analysis. 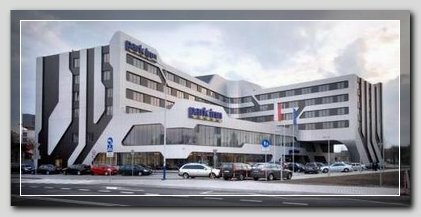 The conference will take place on July 3 - 8, 2011 at Park Inn Hotel in Krakow, Poland. Krakow - the former capital of Poland - is one of the oldest and most beautiful cities of Central Europe included by UNESCO in the list of World Heritage Sites. Throughout centuries it has grown to be a symbol of Polish tradition, culture and national identity. The city throve in the Middle Ages leaving impressive traces of its splendour and wealth: the Old Town with the largest mediaeval market square in Europe, the beautiful Wawel Royal Castle, Mariacki Church with the bugle-call from its tower, colourful and crowded Main Market Square with pigeons, florists, vivid stalls of the Cloth Hall, museums and galleries and the famous Jagiellonian University - Alma Mater Cracoviensis - founded in 1364. Antique buildings and reputable theaters unite there with the newest art and architecture trends. Krakow as a metropolis with 850-thousand population, combines tradition with modernity and the intertwining influences of different cultures and periods make it extremely compelling. 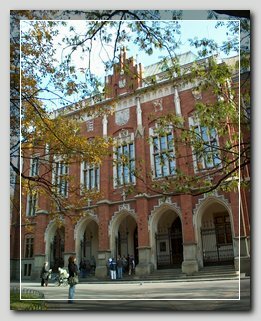 17th ICFIA will be organized by Department of Analytical Chemistry (Faculty of Chemistry, Jagiellonian University) in collaboration with Committee of Analytical Chemistry of Polish Academy of Sciences and with Japanese Association for Flow Injection Analysis (JAFIA). The program of 17th ICFIA will encompass various aspects of flow injection analysis and related techniques (chromatography, electrophoresis), such as basic analytical problems, flow injection gradient technique, flow-based separation and preconcentration techniques, speciation, multi-component analysis, instrumentation development (including miniaturization) and applications. This reflects a continuous expansion of the scope of the ICFIA series, and besides the methodological and technical advancements focus will be given to the analytical challenges in flow injection analysis. Oral presentations (including key-note and invited lectures) will be focused on recent developments in flow injection analysis giving an overview of what is currently important in the field. An extensive poster sessions will complement oral sessions. In addition to the scientific program, a wide range of social programs including one-day trip to Zakopane and visits to historical places in Krakow will be available. Wishing you welcome to 17th ICFIA and to Krakow !